It's been a long time coming, Zenfone 3 devices are even already here, but still thanks to Asus as they really did not abandon the promise to finally release the much awaited Android 6.0 Marshmallow update for the Zenfone 2 devices out there. So yeah, better late than never, the arrival of the update was officially announced via Asus ZenTalk Facebook page yesterday. 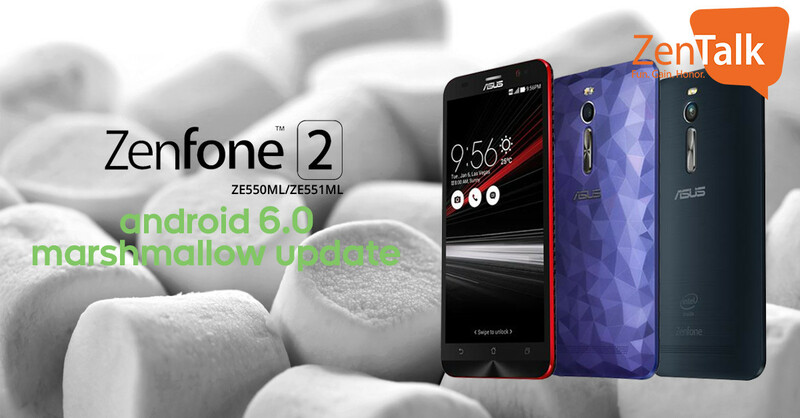 So if you are one of those Zenfone 2 users who have been waiting for this release and have been itching to taste the power of Android 6.0 Marshmallow on your smartphone, simply click on the link below to access and download the update.